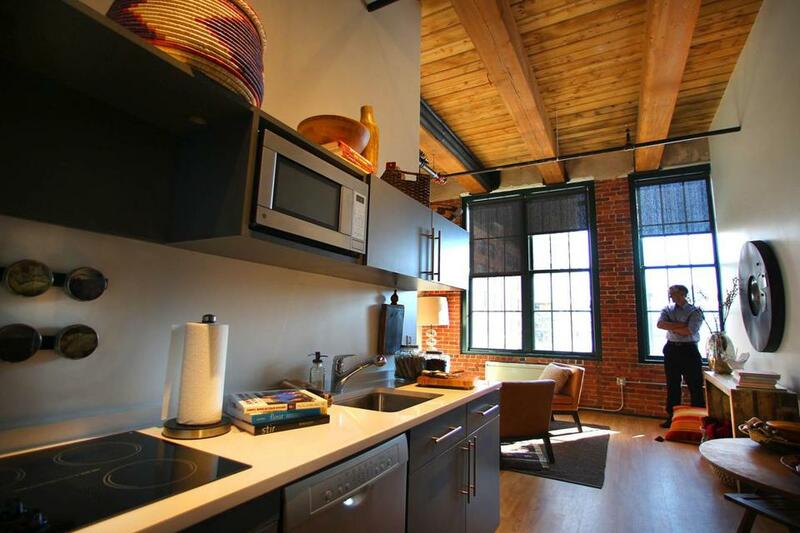 If it feels like apartments across Boston are shrinking, it is not your imagination. Mayor Thomas M. Menino’s administration has begun authorizing construction of smaller rental and ownership units across the city, hoping to increase the supply of densely packed housing around public transportation stops. The new policy, articulated in a recent planning memo, allows construction of units as small as 450 square feet within 1 square mile of rapid transit and commuter rail stops. Previously, the city only allowed construction of units that small in the downtown core, keeping a 500-square-foot minimum in outlying neighborhoods. Last month, Shen drafted a memo to the Zoning Board of Appeals stating that the BRA supports smaller sizes for all unit types near transit stops. In addition to 450-square-foot studios, it is also allowing one bedrooms to drop to 625 square feet from 750; and two bedrooms to 850 feet from 900 feet. Supporters say the development of compact housing cuts costs, and helps to reduce pollution and automobile use. But critics argue such units can erode housing standards and skew public policy in favor of young professionals over families. Developers in Boston say small units are popular among the fast-growing 22-to-35-year-old population, and they are seeking approval to build them across the city. “This generation is a big part of what’s driving growth in a lot of big cities right now,” said Kelly Saito, president of Gerding Edlen, a Portland, Ore.-based firm that recently began building hundreds of compact units in Boston. Earlier this year, the firm opened Factory 63 in the Innovation District, a complex with studio units between 375 and 530 square feet. The building, located on Melcher Street, was fully leased within weeks, and Gerding Edlen is now finishing a 202-unit complex across the street. The firm is also planning to start construction this fall on a 378-unit apartment complex at Albany and Traveler streets in the South End. Saito said the projects are designed to accommodate people who care more about living in the city than having a chef’s kitchen and a large living room. “The market is saying, ‘If you give me an apartment that’s well-designed and functional, then I don’t need the extra space,’” he said. Boston officials said encouraging dense housing around transit stops will help the city reach Menino’s goal of building another 30,000 housing units by 2020. Officials have said more housing is needed to serve a city population that is increasing rapidly, from to 589,000 in 2000 to more than 636,000 today. Tamara Roy, an architect and member of a city commission leading that effort, said being flexible on housing sizes is critical to increasing affordability and serving a variety of groups who want to live in the city.